Find out how you can create a beautiful church website in just 7 easy steps. What steps do you need to take to create a beautiful church website? Once you decide to create a church website, it can be hard to know where to start (and then where to go from there). That's why we've created an easy-to-follow checklist that starts with assembling your team, and takes you all the way to announcing your new site to your congregation and regularly reassessing. It’s our goal to make the actual process of creating your website as easy as possible. That's why we wrote this eBook! We don’t just think creating a website for your church can be simple; we know it can. And we’re here to show you how. all the way to Launch. 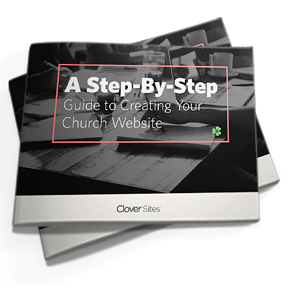 This step-by-step guide was created to help you navigate the waters of web design for your church. Create a site that reflects the true character of your church. Fill out the form to find download your free step-by-step checklist. You'll be directed to a page with the link to download immediately.